What a sweet, gentle girl Cuddles was. We found her in Jan 1999 at an animal shelter in Glendale where she had been for more than a year. They named her Cuddles for a reason; she loved her human laps. But our little pill had another nickname which was Splash. Over the years, she splashed gallons and gallons of water out of her water bowl with her front paws. We also remember when she first came to us how she liked to play hockey with the dog's food. 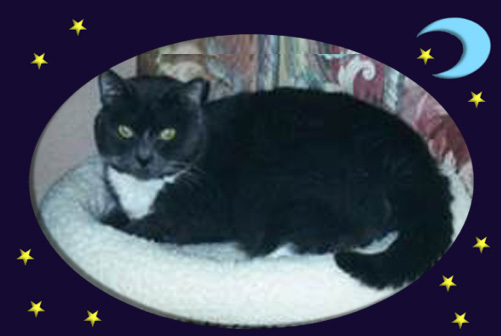 Cuddles was 19 years old when she left us in 2015. Her little body finally just gave up. She has now gone to join her feline sister Amber and her canine sisters Whitney and Olivia. We will never stop missing her.